The first trailer for Quentin Tarantino’s upcoming film Once Upon A Time In Hollywood is out now. Distributor Sony Pictures released two posters for the movie earlier this week—the first with Brad Pitt and Leonardo DiCaprio, and the second with a lone Margot Robbie. It’s the ninth film from Tarantino, and his first since 2015’s The Hateful Eight. Once Upon A Time In Hollywood sees Tarantino returning to his cinematic roots in L.A. after two forays into the Western genre. Westerns haven’t entirely disappeared, though, since Dicaprio’s character is reportedly the star of a late ’60s TV Western, and Pitt’s is his stunt double. Robbie plays actress Sharon Tate, famously a victim of the Manson Family murders. Along with Pitt, DiCaprio, and Robbie, the upcoming movie stars Al Pacino, Bruce Dern, Dakota Fanning, Lena Dunham, Rumer Willis, James Marsden, Michael Madsen, Tim Roth, and the late Luke Perry, in his final performance. 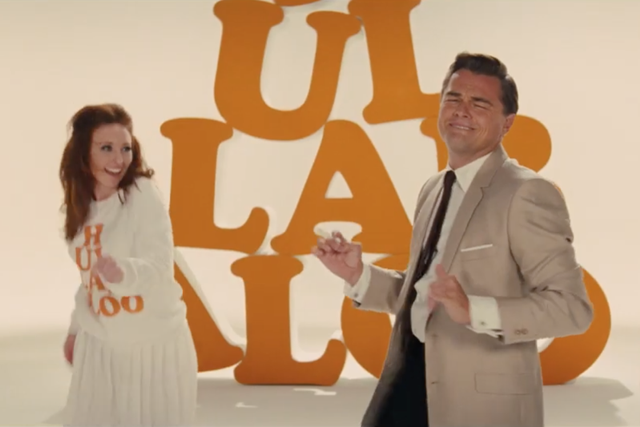 Once Upon A Time In Hollywood marks Tarantino’s first production without the involvement of Harvey Weinstein; the director severed ties with the disgraced studio head in 2017. The movie is set to be released on July 26. Watch the teaser trailer for Once Upon A Time In Hollywood below.